The Iconic Silverstone Wing building has been shortlisted for a prestigious global award which recognises the best new architecture in the world. The £27 million pit and paddock complex, which opened in May, has been shortlisted in the World Architecture Festival Awards. It will now go head-to-head with new buildings from 59 other countries to be named World Building of the Year 2011. The Wing has also been shortlisted in the sports category of the architecture awards. It will compete against eight other sports developments including The Al Shaqab Equestrian Arena in Qatar and the Milson Island Sport Centre in Australia. The World Architecture Festival’s director, Paul Finch, said: “Our awards celebrate architectural excellence the world over and allow architects to showcase their talent and responses to the ever-changing economic climate. 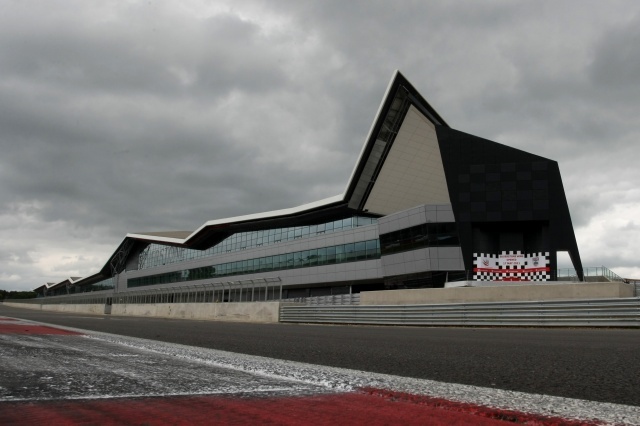 The Silverstone Wing includes 41 garages which are used by Formula 1 teams during the British Grand Prix. It also features three large halls, conference facilities, a business centre and VIP spectator areas. Judging for the World Architecture Festival takes place in Barcelona during the first week of November.